Cycle times up to 100 µs are possible. Process data communication can either be free running or synchronised. 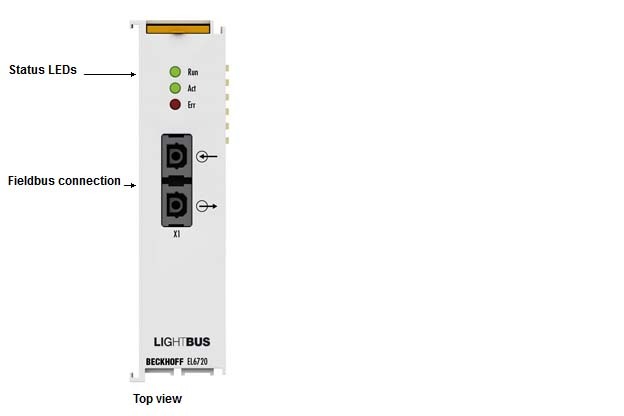 Like the FC2001 Lightbus PCI card, the EL6720 can be used for connection to Lightbus networks. The terminal, however, enables a more space-saving implementation since no PCI slots are required in the Industrial PC.